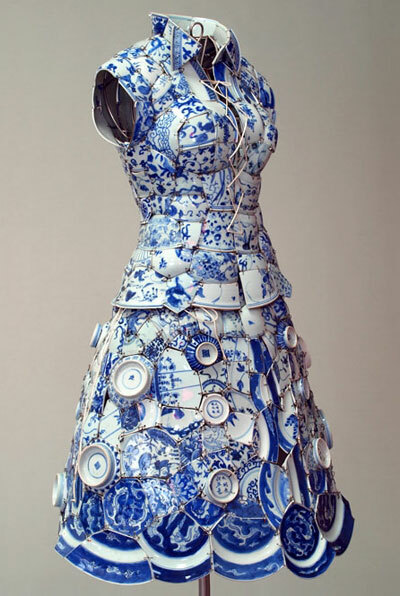 Porcelain dress & beer cans by Li Xiaofeng. Seduced & Abandoned 2! with postcard BONUS. Just imagining the concept alone would be a feat but to structurally bring it to life. Wow. 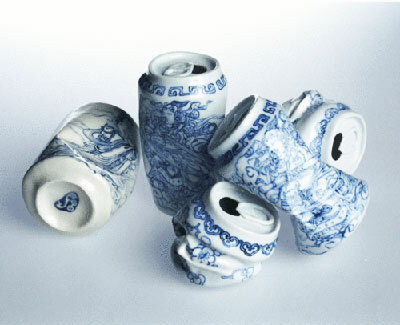 Porcelain beer cans?? And pre-smashed, too?? WOW, haha! hi hoyan. well it was nice while it lasted :) i’ll be seeing you on w_r and i wrote a little goodbye note one your blog. Kimmy- there were models wearing them in other pics and with matching head dresses. it looked kind of dangerous actually. Katlin- ya, i love it!